TEHRAN, Iran — Iran would take pre-emptive action against its enemies if it felt its national interests were endangered, the deputy head of the Islamic Republic’s armed forces was quoted by a semi-official news agency as saying Tuesday. “Our strategy now is that if we feel our enemies want to endanger Iran’s national interests, and want to decide to do that, we will act without waiting for their actions,” Mohammad Hejazi told the Fars news agency, NBC News reported. Iran announced air defense war games to practice protecting nuclear and other sensitive sites, the latest in a series of military maneuvers viewed as a message to the West that Iran is prepared both to defend itself against an armed strike and to retaliate. The U.S. and Israel have not ruled out military action against Iran’s nuclear program. JERUSALEM (AP) — The U.S. and Britain on Sunday urged Israel not to attack Iran’s nuclear program as the White House’s national security adviser arrived in the region, reflecting growing international jitters that the Israelis are poised to strike. 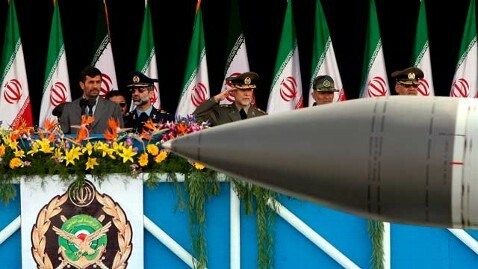 In their warnings, both the chairman of the U.S. joint chiefs of staff, Gen. Martin Dempsey, and British Foreign Secretary William Hague said an Israeli attack on Iran would have grave consequences for the entire region and urged Israel to give international sanctions against Tehran more time to work. Dempsey said an Israeli attack is “not prudent,” and Hague said it would not be “a wise thing.” It was not known whether their messages were coordinated. Prime Minister Benjamin Netanyahu and Cypriot President Dimitris Christofias signed a search and rescue agreement on Thursday. According to the agreement, in the event of a disaster Israeli aircraft will be authorized to enter Cyprus’ airspace, and vice versa. A similar agreement between the Jewish state and Turkey was revoked recently in light of heightened tensions between the countries. 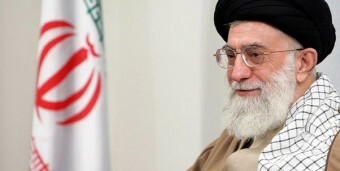 “Iran is the most irresponsible force in the world. I hope the sanctions will have an effect, but so far they have not. We are dealing with a regime that violates every resolution and has no respect for international standards,” the Israeli premier said. With Iran allegedly striking out at Israeli citizens and Jewish targets around the world, Israeli and American security officials in the U.S. are on high alert. “We expect it and we are ready,” one senior Israeli official told ABC News. Israeli officials told ABC News that the level of personal security on high-ranking Embassy officials as well as other, lower profile officials in the U.S. is at its highest in at least five years, a response to what they called “a coordinated series of attacks.” When Israeli officials travel to and from events, ABC News has observed a notable increase in the security presence. A car damaged in an explosion outside a university in Tehran that killed a scientist and injured two other people. TEHRAN, Iran — Two assailants on a motorcycle attached a magnetic bomb to the car of an Iranian university professor working at a key nuclear facility, killing him and wounding two people on Wednesday, a semiofficial news agency reported. 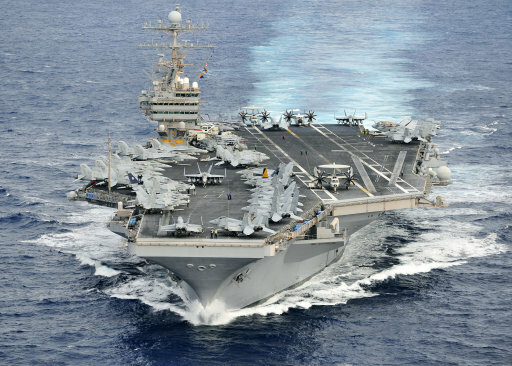 Tension in the oil shipping lanes of the Gulf looks set to intensify amid indications that Iran, Israel and the US will hold military exercises designed to test weaponry and tactics. As the US and European Union press ahead with oil sanctions on Iran, Tehran’s defence minister announced on Friday that the Iranian Revolutionary Guard Corps will hold large-scale exercises in the Strait of Hormuz and the Gulf next month. (Reuters) – The U.S. Fifth Fleet said on Wednesday it would not allow any disruption of traffic in the Strait of Hormuz, after Iran threatened to stop ships moving through the world’s most important oil route. SEOUL, South Korea — Kim Jong Il, North Korea’s mercurial and enigmatic leader, has died. He was 69. Are we headed down the right path?